Spirit Warrior and supernatural enforcer Naomi Garland has fought hell beasts and magical miscreants. She has thwarted warlords’ schemes and plunged into the deeper reaches of hell. None of that has prepared her for this. Following a mass demon breakout from hell, Naomi and her Dragon Born lover set out to hunt them down. But this time, it isn’t just about saving the world. The demons have infiltrated Naomi’s inner circle—and to defeat them, she must join forces with her sworn enemies. 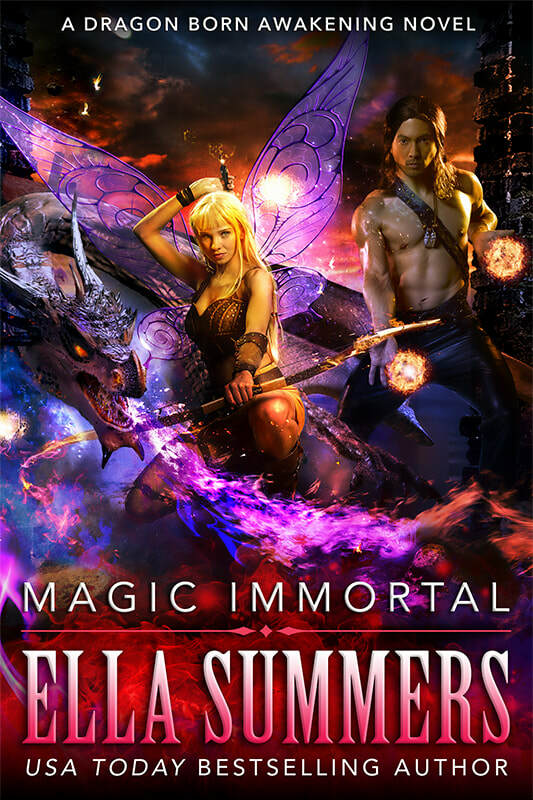 Magic Immortal is the third book in the Dragon Born Awakening urban fantasy series.